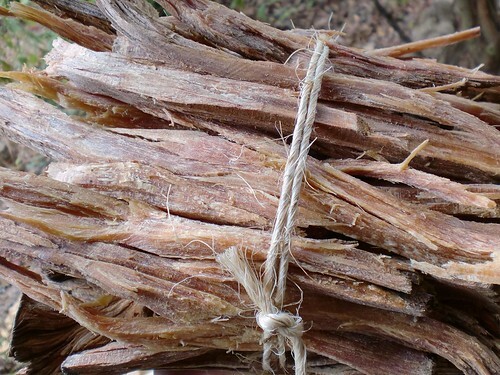 Ocote: a magical fire starter that we harvest from some of our pine trees which have been damaged by fire or lightening. Ocote is super-resinous wood that is produced in a number of the pines in this area. It is a bit mysterious. Looking it up, I can’t find a lot of information about why exactly a tree over-produces the resinous wood. 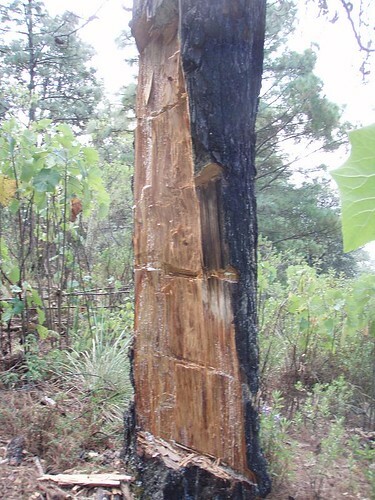 Local theory is that when a tree is damaged, ocote is produced near the damaged area in an effort to recover. This article confirms the theory: perhaps the tree is protecting itself from further damage from insects after initial fire damage. Ocote is sold in the markets, but we just harvest our own. It makes lighting fires very easy. Ocote lights easily using a match, and while it burns faster than wood, it burns long enough to get the kindling and fire going well. 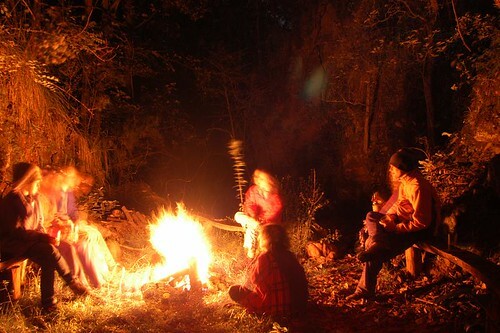 Just a small piece is needed to start a fire; except in the rainy season when outdoor fire starting becomes somewhat of a challenge, and two pieces may be needed. This entry was posted on Tuesday, March 22nd, 2011 at 12:45 pm	and is filed under general. You can follow any responses to this entry through the RSS 2.0 feed. You can leave a response, or trackback from your own site. Entries (RSS) and Comments (RSS). 19 queries. 0.255 seconds.